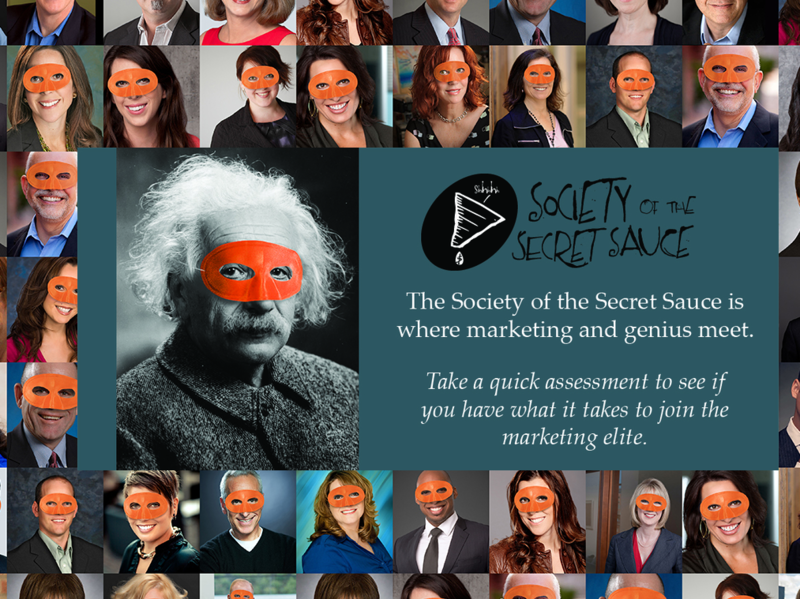 For the past few weeks we have been celebrating the marketing elite and inviting extraordinary marketers to join the Society of the Secret Sauce. We unveiled the charter members of the Society and shared its manifesto. We even got a few marketing geniuses to share their secrets in a few interviews – check out responses from Matt Heinz, Ann Handleyand Alex MacLean. We also had some fun at a few recent events and interviewed several marketing geniuses on their secrets. Watch the following playlist to hear from Jesse Noyes of Kapost, Matt Heinz of Heinz Marketing, Alex Krawchick of Hirevue, Dan Ahmadi of MuleSoft and Carlos Hidalgo of ANNUITAS. Do you have what it takes to be a MKTGgenius? We recently teamed up with SnapApp to create a secret assessment for marketers to see if they are ready to be sworn into the Society. Click through the image to take our assessment.